When I posted a picture of the bobble texture I was playing around with on Instagram, there were a lot of people asking what pattern I had used. 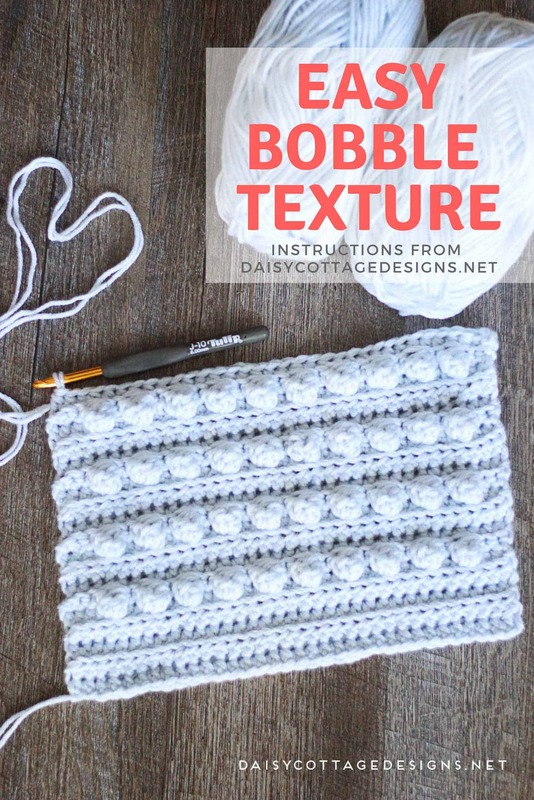 While I haven’t finished creating the pattern, I wanted to share the general instructions for the bobble swatch I was working on. Playing around with textures is fun so I’m sure you’ll enjoy it. I was also playing around with a new yarn I hadn’t tried before. I was using the Brava Worsted Yarn from Knit Picks in the shade “Clarity.” The website describes this shade this way: “Clarity is a very light powder blue color with an ever so subtle hint of green.” I haven’t noticed any green at all. I would describe the shade as a light silvery blue. This yarn is nice, but it does shed a little. All in all, the color selection is fantastic and I would recommend the yarn if you’re trying to balance price with quality. Again, remember that this isn’t a pattern for a particular project. 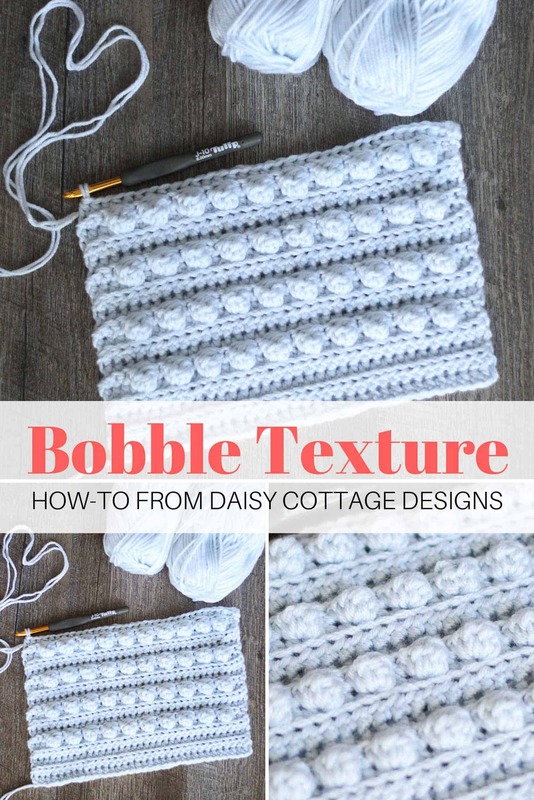 This is just instructions on how I made the bobbles and textures since so many people were asking and I don’t know when I’ll be finishing the pattern – there are several in the queue. Worsted weight yarn (I used Brava Worsted in Clarity) – this pattern is a yarn-eater so you’re going to need a lot of yarn for any substantially sized project. Chains at the ends of rows do not count as stitch. Do not work into the turning chains. You’ll work this pattern holding two strands of worsted weight yarn together. 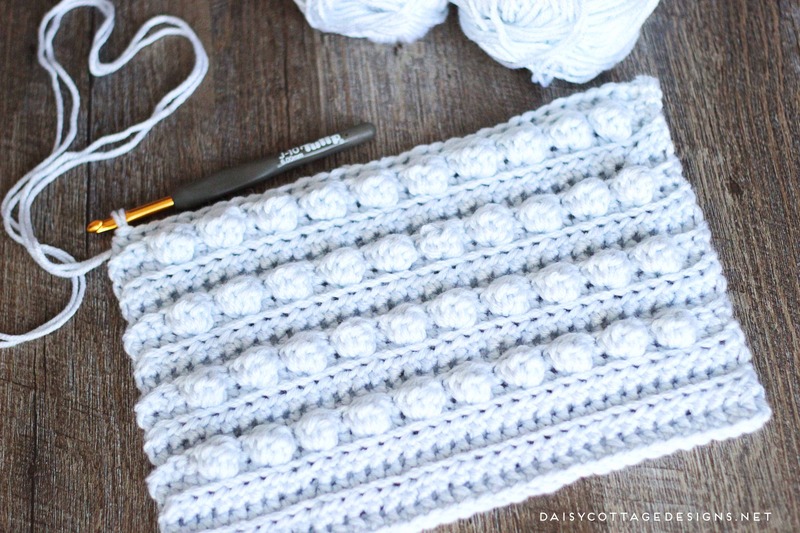 Using a chunky or bulky yarn would also work. 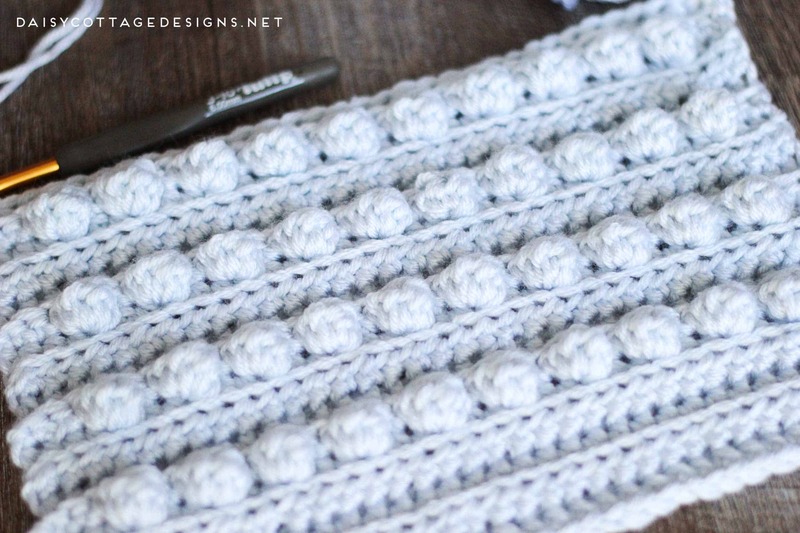 I have 5 rows of ribbed double crochet before starting my bobbles, but you could only do 3 if you wanted them evenly spaced throughout. Rows 7 – 9: hdc in the back loop only in the first stitch and in each stitch across. Ch 1, turn (34). Repeat rows 6-9 until you’ve reached the desired length.